It's small and easy to take with you wherever you go. And if you have kids, good luck at keeping it away from them! My kids wanted to use it for everything they could think of. Which, honestly, I think is a fabulous idea! One of my favorite uses was when a student came over to me, holding a screw and said "this just fell out of my desk". Really? It just fell out of your desk? Never mind the pencil led I had to pry out of the screw first before I pulled out my cool LEVER Gear Toolcard and repaired that desk all by myself. Now, I don't carry pocket knives on me like my husband, so when I get home and there are the several boxes from Amazon waiting for me, I usually have to get a knife out of the utensil drawer or find some scissors. But the box opener works absolutely perfectly with the LEVER Gear Toolcard. AND I didn't have to dirty a knife from the drawer. There are times when I have absolutely zero idea where my bottle opener is. I used to have one on my keys, and I have several in the drawer, but if we're at a gathering, I hate asking the host for a bottle opener, repeatedly. 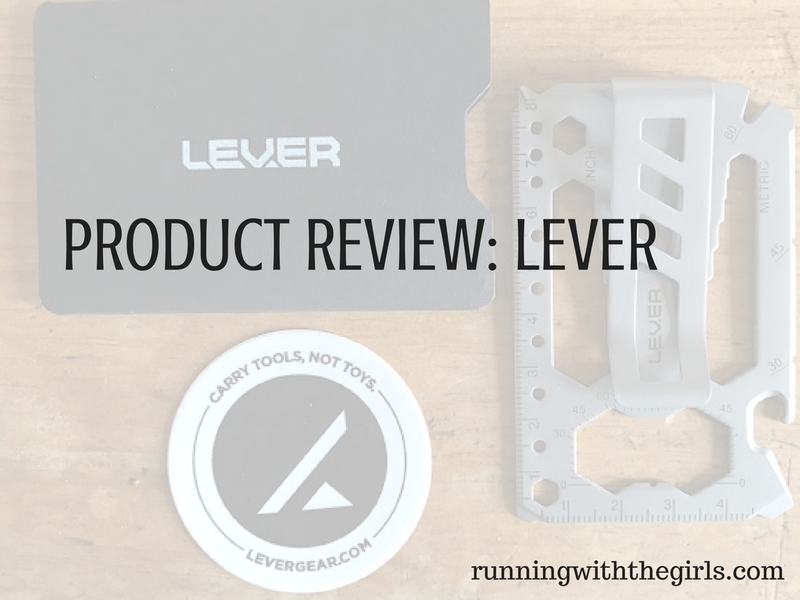 LEVER Gear Toolcard has a great bottle opener. You know, for opening up sodas. Personally, with Christmas coming up, I KNOW someone in your life would love the LEVER Gear Toolcard It's a great stocking stuffer for just about anyone. isclosure of Material Connection: I received LEVER for free from LEVER Gear as coordinated by Outdoor PR in consideration for review publication. As always, all opinions I express on my blog are 100% my own.